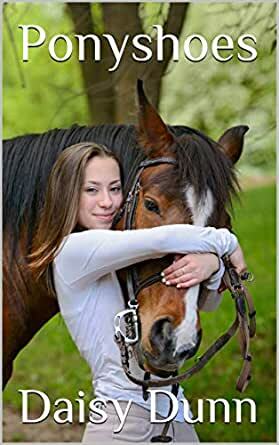 Jenny and Amy are best friends with each other, and with their horses, Kat and Felix. Soon a new girl arrives--small and shy, and tough as leather. She readily adopts the nickname, Ponyshoes, that snooty Laura tries to taunt her with. Through the summer, Ponyshoes and her new friends ride in horse shows, clear the highest jumps, and win more than their share of ribbons. And when they're not riding, they help rescue sick horses, catch the eye of a cute boy, deal with pain and disappointment, and see dreams come true. But most of all, they have lots of fun. 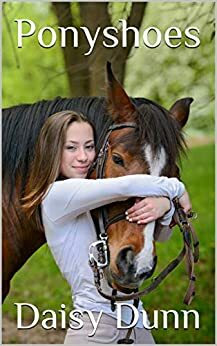 For anyone who loves horses, this is a must-read. Equal parts funny and heartwarming, the story will leave you feeling good. And the characters feel like someone you might actually know. They think and talk and act like real girls, not some kid from a movie who is always cheerful, clever, graceful, and good. And as the story moves forward, these girls grow as riders, as friends, and as people.